It is nice to receive or present a bouquet of flowers from someone, be it a special occasion such as your birthday or you get it on a regular day to have it brighten by the flowers. Sometimes a single flower is more than enough to make somebody’s day! When you don’t know what the other person would like for a gift, hand him/her a beautiful flower. This is because flowers carry a meaning, an essence of love, belongingness and a message of tenderness which is understood by all. While flowers are such gentle a living thing and loved by just everyone, there is this wilting factor that doesn’t make them long last enough and sometimes preference to other gifts is given over these. For those who love them to an extent that they have their backyard blooming with flowers, they believe it is best that they continue to stare from their mother flower. So what can you do when you cut a flower to make sure it lasts long enough? Fresh cut flowers ready to be delivered! 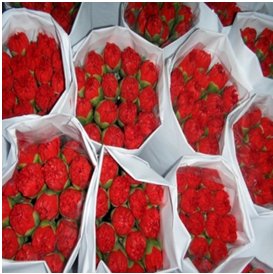 To begin with, timing is very important and perhaps the first factor you should be considerate of when cutting a flower. There are two best times of the day when you can cut the flowers to make them last long: Early in the morning which you can witness by the fragrant and blooming garden at the time that they are ready, also they are stored fully with food at this time of the day, and late in the afternoon for the atmosphere has cooled down. The best cutting technique is to do so with a sharp, edgy knife and have the flowers dipped in water right away. Cutting the flower stem in a slant would expose more stem area to preserve freshness. As the flower should be plunged in the water right after it is being cut from the mother flower, another important aspect in the same regard is that the water used should be lukewarm, too warm water could dehydrate and too cold a water is not recommended. Another tip is to cut the leaves that will be submerged in the bowl or vase of your choice. Freshly cut flowers should be placed in a cool spot, away from direct sunlight and in a temperature between 65 to 72 degrees Fahrenheit or 18 to 22 degrees Celsius. This is an ideal temperature for keeping most of the flowers alive. The demand for water is continuous so you additionally need to make sure that you change it every two days to keep it fresh. Make sure to clean the vase before refilling it with water. Leaving the leaves and stem parts are another cause of making your flower vulnerable and close to dying off early. Make sure you remove any of these while placing them for the first time or after the change of water. Have you seen those little packets the flowers are in when you buy it from a florist? Yes, the same. Ever thought what’s in it? It contains chemicals called biocides. These are chemicals that keep your flower from getting prone to bacteria, yeasts and fungi. 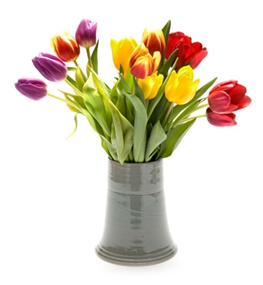 If your flower ever catches germs, it will wilt away quicker! So remember to add biocide or any other flower food that you can find on good stores. When you change the water for your flowers, another task-at-hand is to re-cut the stems of the flowers not more than 3/4″ to one inch with a sharp knife, the one you chose for cutting in the first place would do you good. Again, the angle should be such that it is somewhat slant which would allow flowers to take up water easily. You see how easy it is to keep your flowers alive even when they are away from your garden. 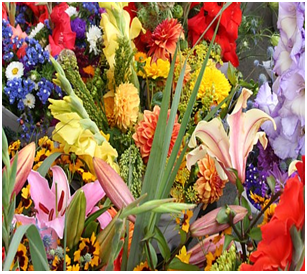 Flowers add to the beauty of your house thereby making it fragrant. Get rid of the air-fresher when you know these tips to keep your flowers fresh and blooming even after days and days of being cut. An important consideration here is that this might not work for every flower. Some very elegant and unique flowers may give up in lesser days than would another flower but after a promising few days provided you took care of it rightly. An additional tip to add as an ending note: Keep your flowers in refrigerator for six hours prior to arranging them in a vase and voila! You have just tripled their life-span.